How is Aquatic Bodywork different from the hydrotherapy that has been around for a while? The primary difference between aquatic bodywork and the type of hydrotherapy that has existed and been used in South Africa until now is that it is completely passive: the aquatic bodyworker is in the water with the client supporting and manipulating the body throughout the session. Hydrotherapy itself is an age-old form of therapy and is an accepted and popular way to treat various conditions. Treatment in water is often an integral part of the physical and psychological care of many conditions and a very important part of the rehabilitation process. The body is released from the constant pull of gravity and experiences the hydrostatic effects of water, which gently kneads the tissues, stimulates touch receptors on the skin, invigorates circulation and digestion, releases tight muscles, stimulates the lymphatic system, strengthens the immune system, and lessens pain sensitivity. Most people today associate hydrotherapy with physiotherapy, biokinethetists and rehabilitation. Typically, the hydrotherapist is trained to guide patients to do specific exercises that will treat their condition when the body is weightless in the water. Generally, this guidance takes place from the pool-side without physically manipulating the client in the water. Any physical manipulation generally takes place on land. Many times, the client can do these exercises without the hydrotherapist even being present. "Aquatic bodywork is different to hydrotherapy in that the aquatic bodywork practitioner holds the client completely supported in her arms, body or with float assitance. The therapist then moves every joint in every limb, including the torso with rhythmic movements through the water. Massaging pressures and stretches are given in a specific sequence and as is required by the patient and understood through the therapist's sense of her client's needs. At the same time the therapist constantly observes her client for discomfort or ability to allow the movements. The client is submerged with the face exposed and the water covers the ears and very little verbal communication is made either way. This gives the client a feeling of movement, support and massage in a free and space-like environment that promotes deep relaxation and stress reduction. When able, the client may be completely submerged and this also promotes relaxation and may impact on patients suffering depression. Often the client will experience an emotional change or happening that will improve their health and well being. Patients or clients with disabilities, muscle spasm and or pain that is resistant to treatment on land due to fear or resistance is alleviated by the comfort of support by the therapist and the safety and ease of movement in the warm water environment. The warm temperature 32/33 degrees is also healing and relieves pain and muscle spasm. Therefore some remarkable improvements can be made in very difficult patients, even those with cerebral palsy, strokes and failed back syndromes to mention a few." In summary, the forms of hydrotherapy used before the advent of aquatic bodywork relied on the properties of water and its mechanical and thermal effects. The person doing bodywork in the water was almost always doing it themselves. 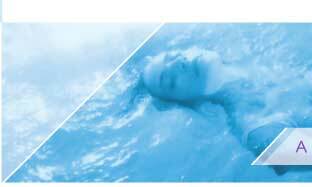 Aquatic bodywork has revolutionised hydrotherapy by relieving the receiver from doing any work whatsoever. The bodyworker supports, moves, presses and stretches the body in ways impossible on land, so that over and above all the benefits of conventional hydrotherapy, the entire body is worked in probably one of the safest and most natural forms of manipulation that has evolved. How are physiotherapists receiving aquatic bodywork and what is its purpose? Physiotherapists encourage this type of activity and believe it would enhance their own treatments. Its primary purpose is to promote the body’s wellbeing and recovery process not only on a physical, but on a psychological, emotional and energetic level. You entrust yourself to the arms of the practitioner, an inherent closeness and trust that can restore a sense of childhood innocence and joy. It imparts a free, floating, surreal sensation of merging with, and becoming as fluid as the warm water enveloping the body, while both body and mind are lulled into a deep state of relaxation. The lack of sight and sound allows the person to fully experience the primordial sensuality of the water, the multidimensionality and boundlessness of his being. The rhythmic beating of the heart, amplified in the water, lulls the mind to slowly become quieter and quieter, so that the person looses all sense of time and space, and the body experiences unprecedented freedom and wholeness. Can aquatic bodywork help me stay off anti-depressant drugs? In certain cases yes. Aquatic bodywork calms the nervous system, and this has a spill-over effect in stimulating most of the body's natural processes, be they physical or psychological. Drugs are sometimes necessary, but are sometimes used as a 'quick fix', and don't really treat the problem. 3) the events and people in our social experience that shape our life." How is the process of getting dunked underwater supposed to be healing? “Water really is the healing medium for the millennium,” says practitioner Hilary Austin . In water, all movements are three-dimensional, so that no limb is moved in isolation. The whole body is in movement. Mind, body and spirit tap into a primal purity, wholeness and freedom. 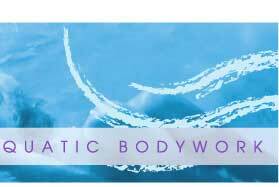 Underwater bodywork affects multiple levels (physical, emotional, and psychological) and gradually heals and corrects imbalances, leading to improved body/mind awareness and a general sense of wellbeing and peace. On a physical level, the sensation of warmth and weightlessness makes all unnecessary muscular activity stop, you just let go, which from a therapeutic point of view is and ideal way to restore health. Water moulds itself to respond to individual needs, stabilizing joints and making it safe for a variety of conditions and injuries. It has profound effects on an emotional and psychological level because it provides a safe space for the subconscious and conscious minds to meet. “When something is bothering people it just seems to surface. Issues of control, intimacy, and trust come up while you’re being cradled in someone’s arms in the water” says Watsu therapist Jesse Judson-Graham. “It’s so difficult to describe the feeling of an underwater session. The silence for me was the most beautiful part. My head was so quiet, so light, so free; I just knew I was safe and happy and I didn’t want to come up. I didn’t need air. I just forgot about breathing. When the skin of my face felt air on it, breathing just happened instinctively. I wasn’t even aware of it. Colours and memories came and went, I danced and played, and the stuff that surfaced, both good and bad, was all manageable.” says heart patient Laura Elliot. Its psychosomatic effects have been used worldwide to help manage cancer, heart disease, AIDS, chronic pain, psychological traumas, bone and muscle strains and injuries, insomnia and addictions. Paradoxically, it can help you get over a fear of water. How common is the therapy at the moment – in SA and around the world? 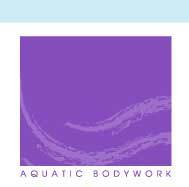 Aquatic bodywork is common in North America ( Canada and USA) and Europe ( Germany, Netherlands, Belgium, Switzerland, Italy and Spain ). There are practitioners in Australia, New Zealand, Brazil, Israel, and Japan . Aquatic bodywork is still very new in South Africa . There are only two practitioners in Johannesburg at present and one in Cape Town . “It is interesting to see how well physiotherapists are receiving aquatic bodywork. One stated that she has been waiting for me for years! Training in this field is not available in the country and costs of training abroad are high, so many therapists are aware that it is out there and has been out there since the 80’s, but have not had the means of bringing it to South Africa.” says Maria. As an avid weight lifter, surf-skier and road-runner, would aquatic bodywork be beneficial as part of my training routine? Most definitely. Aquatic bodywork is a blissful form of muscle recovery and probably the safest form of bodywork and manipulation that has evolved. It can be integrated into convalescence, rehabilitation, or can be done purely for relaxation. It’s an accessible, low-threshold activity and you don’t have to be able to swim. “My big burly clients can’t believe how easily I move them and make them feel like putty. They think I’m so ‘strong’, but it’s actually just how I use the water and their own body-weight as I lift them partially out of the water or use an accelerating movement against the water’s resistance. They tell me it’s the best full-body experience they’ve ever had.” says Maria. Most sports, such as weight lifting and running, compress the vertebral column and put pressure on joints, which sometimes has serious long term consequences. Aquatic bodywork relieves this pressure, extends the joints, and gently tractions and mobilizes the vertebral column while loosening and freeing surrounding tissues. Aquatic bodywork is more effective than regular physiotherapy when it comes to multidimensional stretching – and stretching is vitally important to any sportsman’s performance. It elongates and tones the muscles, allowing for greater flexibility and range of motion in joints, releases tension, and helps muscles perform at peak. In eastern medicine, stretching is believed to release blockages in our meridians, the channels through which our ‘chi’, or life force, flows. Static and dynamic passive stretches are incorporated into the session. People are encouraged to exhale deeply during the stretches – the more they let go physically and mentally, the more they receive from the session. They depart with an intense feeling of total, deep relaxation. Together with regular exercise, correct diet and lifestyle, aquatic bodywork contributes in a fundamental way to maintaining the body’s health and holistic balance.